The Broward County single-family home market is showing some reduced activity due to continued lack of inventory, buyers not prepared with down payments and closing costs, and the uncertainty of the election cycle is showing some impact. Inventory levels are somewhat stagnant, but still lower than the previous period in 2015. The foreclosure listings are still at their lowest levels in a decade, and short-sale listings are becoming scare with only a couple dozen listed in the entire county last month. 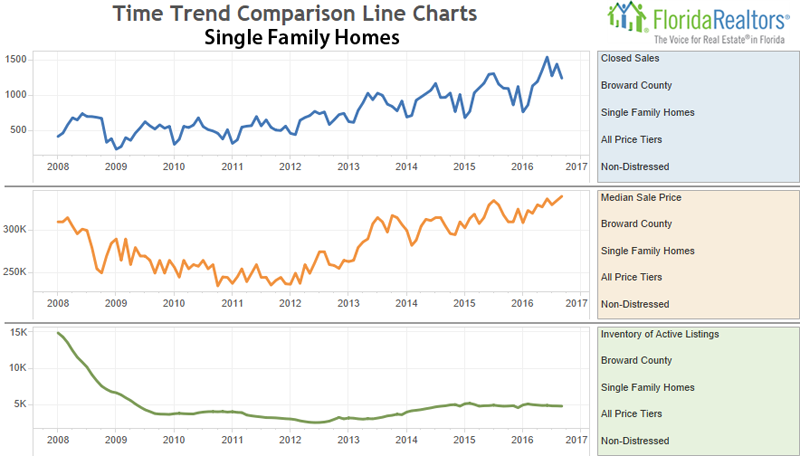 Active listings continue to decline, as many homeowners are unsure whether they can find a new home in the price range and quality they desire. Fewer homes are being flipped as the higher market pricing doesn’t afford the profit potential to investors they received in previous years. 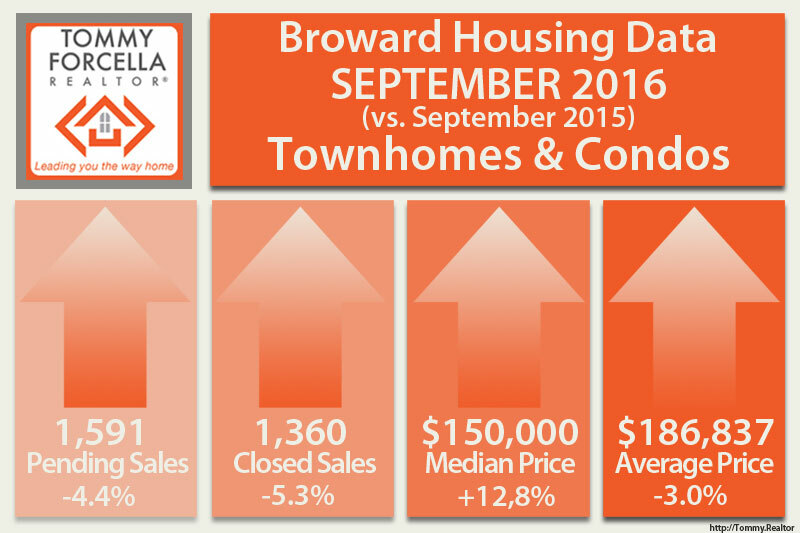 The condominium & townhouse market experiencing the same slow down. The inventory level is better in condos, but many first-time buyers are not aware of the relaxed approval guidelines now in place by major lenders discouraging them from beginning the search. Active Condo/Townhouse listings are in greater supply than the same period last year by a small percentage. An issue we are seeing currently is many condo buildings were built in the early 70’s in the eastern portion of Broward County. Those buildings are in process or nearing their 40 Year-or-Older Building Safety updates. Those building without the necessary reserves to fund any major expenses during this phase are facing steep assessments. Notes: Statistics for each month compiled from MLS feeds on the 15th day of the following month. Data released on Thursday, October 2, 2016.